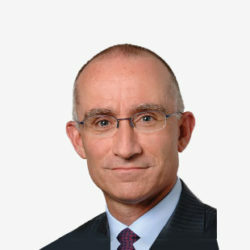 Jacques Guérin joined Ingenico Group in 2012 as EVP Chief Solutions Officer. From January 2015 to February 2017 he was the head of the Group’s Smart Terminals & Mobile Solutions division. He began his career with Air France, where he held various positions in Air Inter and Servair. In 1998, he joined Amaury as General Manager of the French newspaper Le Parisien before becoming the company’s CEO. He also acquired specific skills in the field of software development through the launch of Corail Software in 2008. Jacques Guérin holds degrees from the Ecole Polytechnique and the Ecole Nationale de l’Aviation Civile.